Prime ground on the corner of Wagner & Karcher Rd in Caldwell. This 39 acre parcel has tremendous upside for the future w/ potential rezone opportunity for commercial and/or residential development. 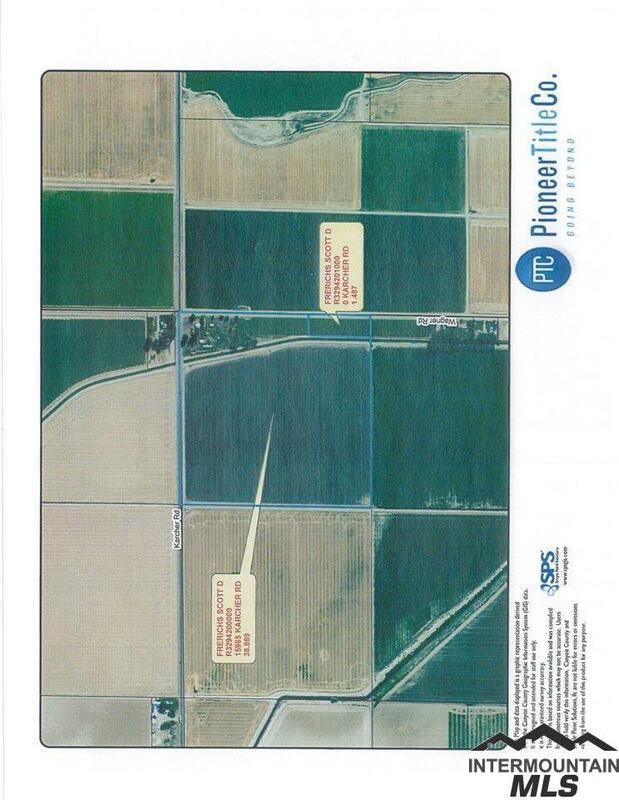 Idaho Transportation Department is calling Karcher Rd the next Eagle Rd. This land along Karcher Rd has tremendous upside for future equity growth. Perfect piece to park 1031 Exchange money or investment capital. Boise Growth is headed this way right now so a must see. Buyer will take over farm lease rents. Listing Courtesy of Bullock And Company, Realtors.